This course will introduce the Tibetan Buddhist teachings on the bardos, the intermediate states, most popularly presented in the Tibetan Book of the Dead. Ostensibly, these are teachings about death, but, actually, they are also about life. Part of the Dzogchen or Great Perfection teachings, they are deeply tantric, found in so complete a form only in the Tibetan tradition. They also incorporate all the most important Buddhist doctrines, but with a unique orientation: How to have a good life and death and achieve enlightenment in the interval between the two. 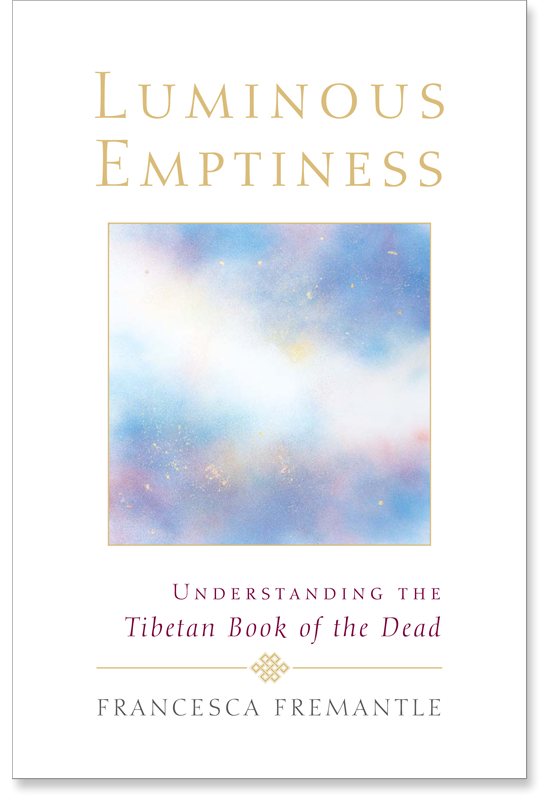 We will use Francesca Fremantle’s Luminous Emptiness, Dzogchen Ponlop’s Mind beyond Death, and the 17th century revealed terma text, The Mirror of Mindfulness by the great terton, Tsele Natsok Rangdrol. The course will run 21 classes, beginning January 17 and ending at the end of July, 2016, and will meet on Sundays 12:30-2:30 PM at the Westchester Buddhist Center at Eileen Fisher Headquarters in Irvington. PRE-REQUISITES: active participation in prior advanced WBC courses or special permission of the instructors. TO REGISTER: Pay & register here, or simply come to the first class.